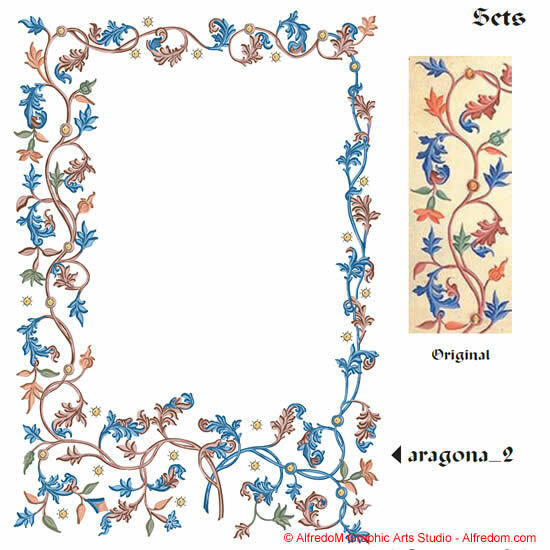 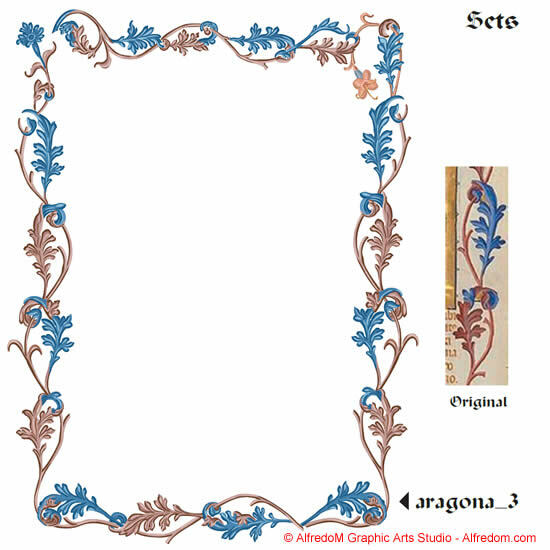 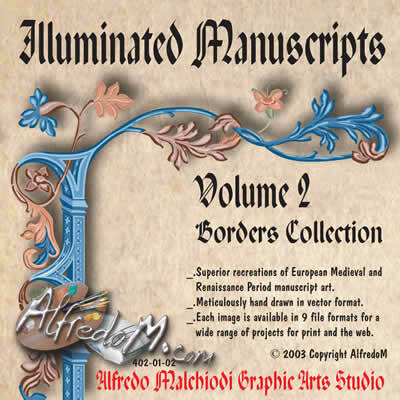 This eps illustration collection includes royalty free vector decorative borders of ancient illuminated manuscripts from the Middle Age and the Renaissance, hand drawn in Adobe Illustrator as clip art. 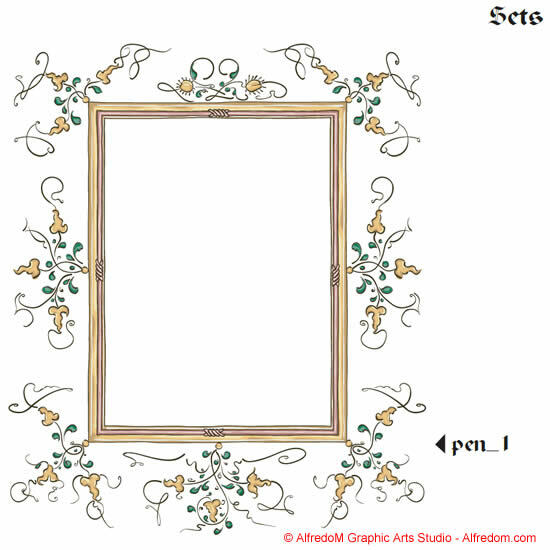 Royalty free clipart images is available for instant download in EPS and WMF formats. 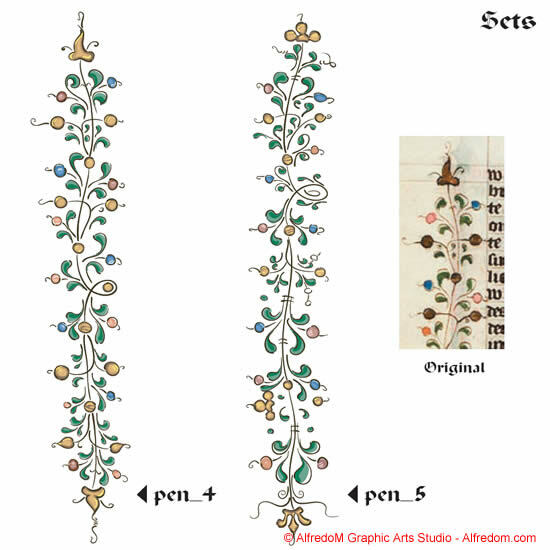 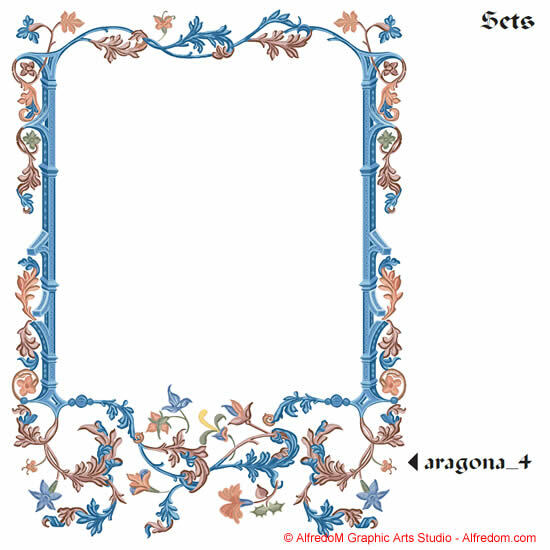 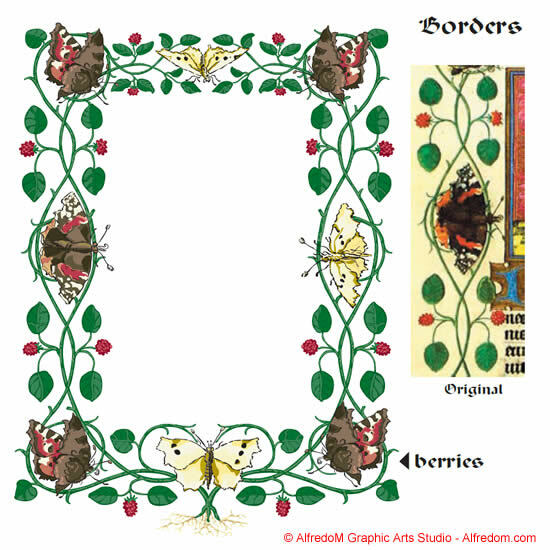 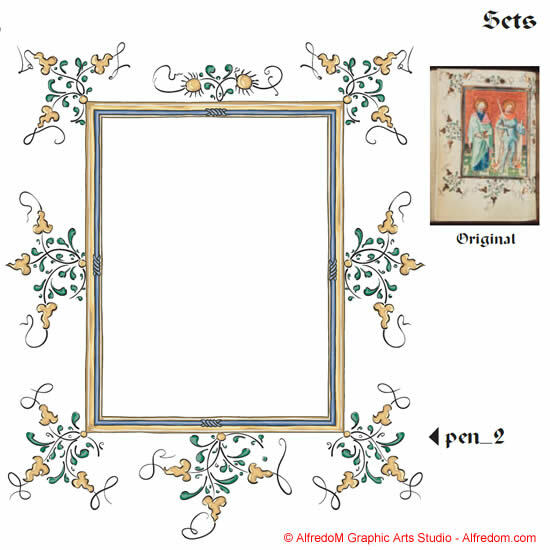 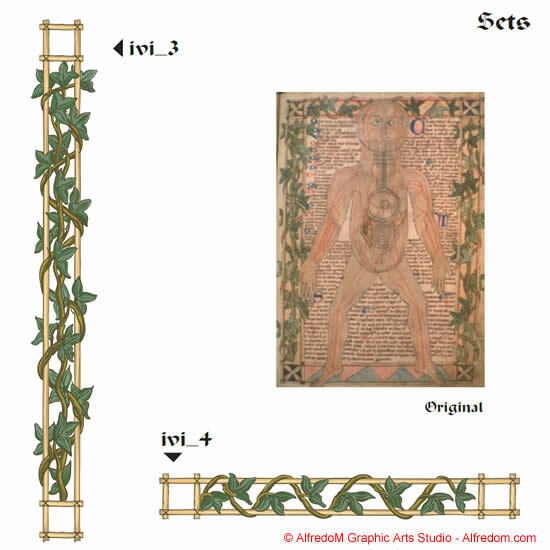 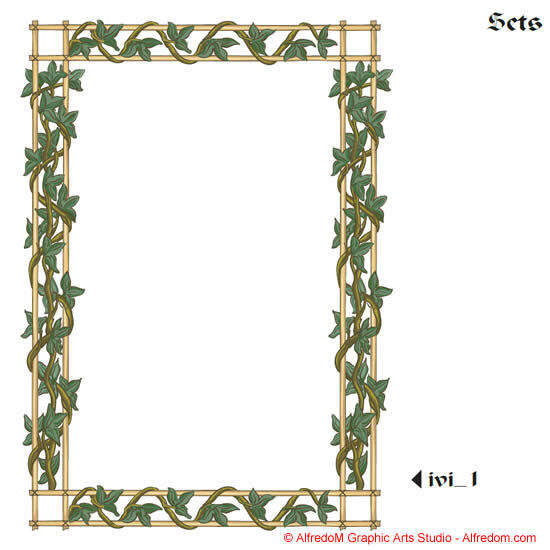 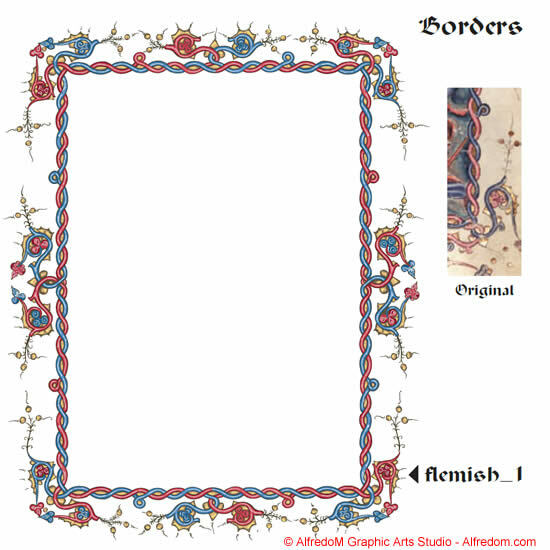 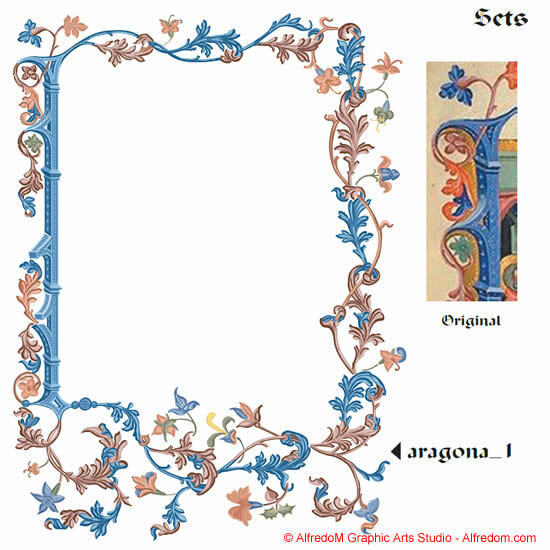 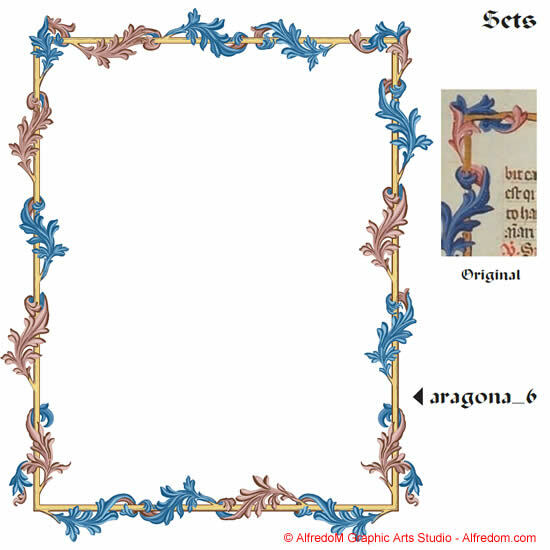 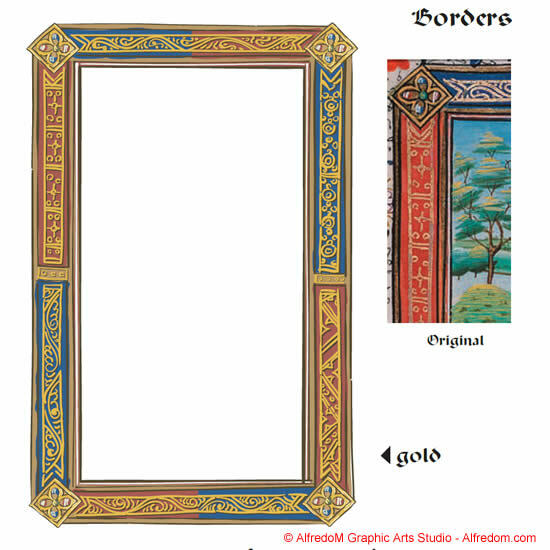 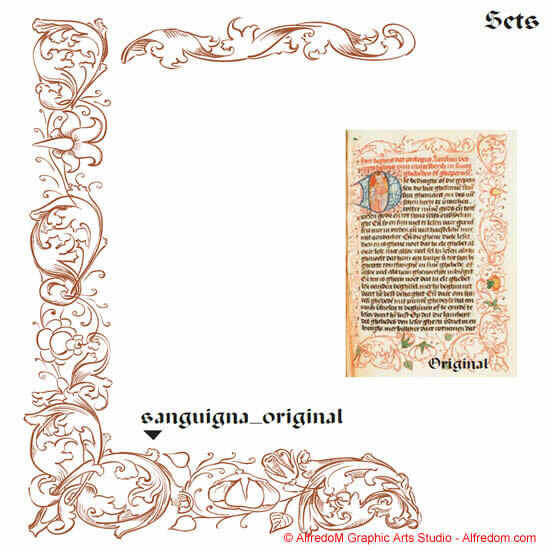 Hand drawn blank illumination manuscripts borders clip art in vector eps format. 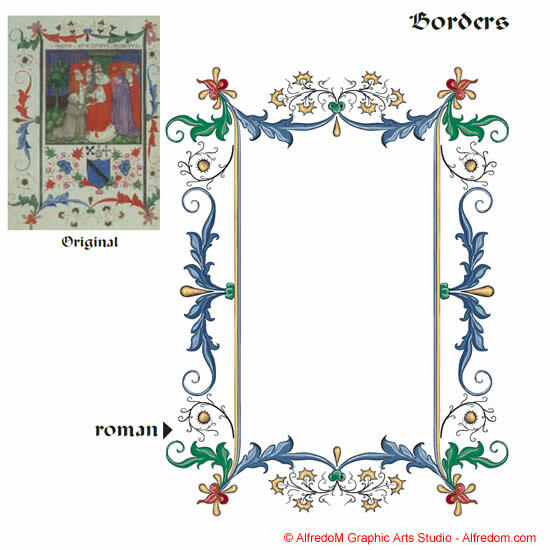 This selection of decorative illustrations borders from old books and illuminated manuscripts from our eps illustration collections of Medieval and Renaissance graphics is particularly well suited for engagement and wedding invitations and announcements, wedding reception clip cards, place markers, save the date, unity candle decoration, etc. 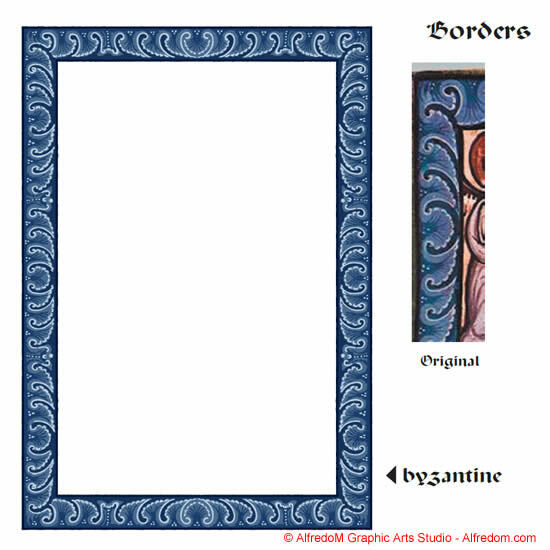 Many of the graphics can be used as borders for diplomas and certificates, special occasions cards and other stationeries. 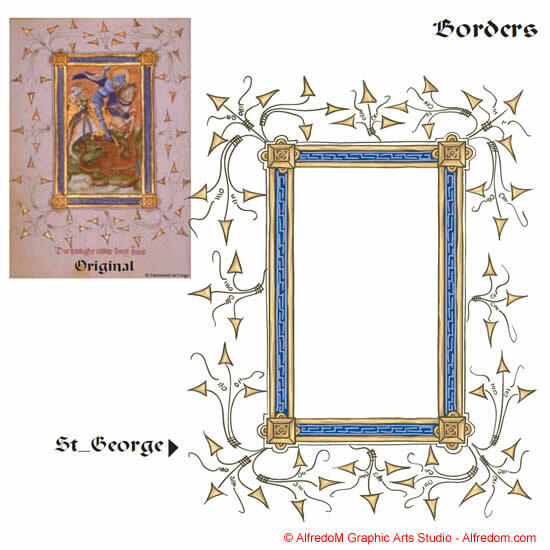 Information is available on how to insert the borders in Microsoft Word, Corel WordPerfect and similar word processors in our FAQ pages. 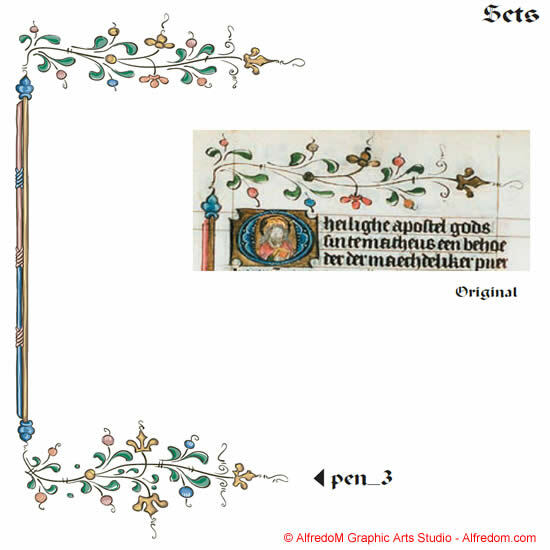 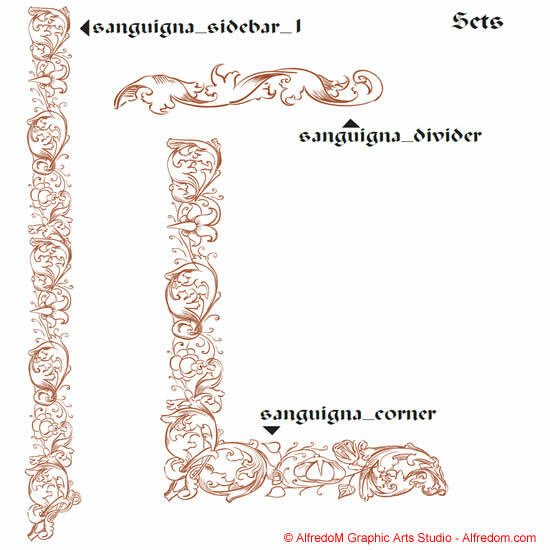 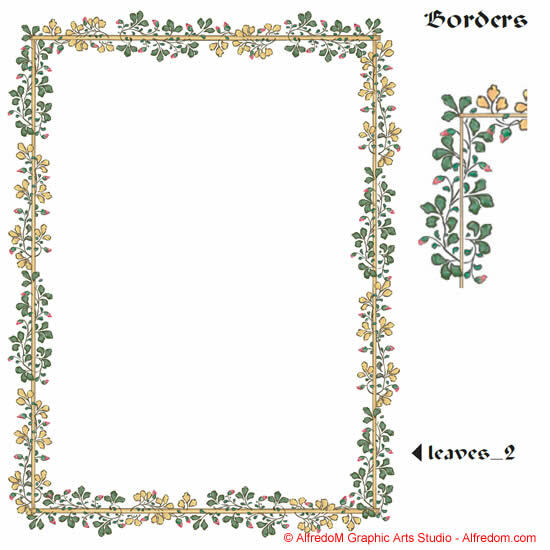 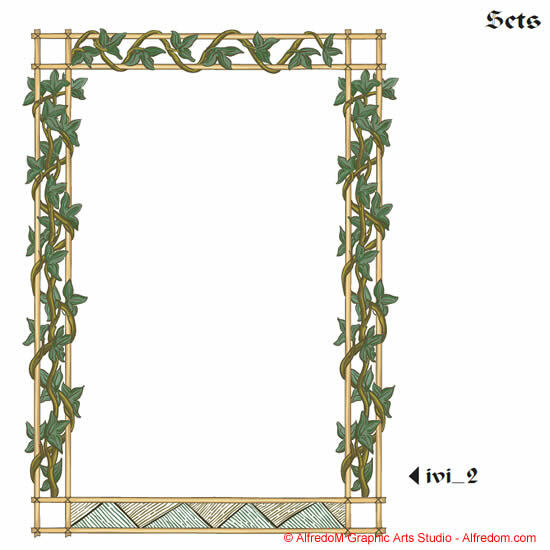 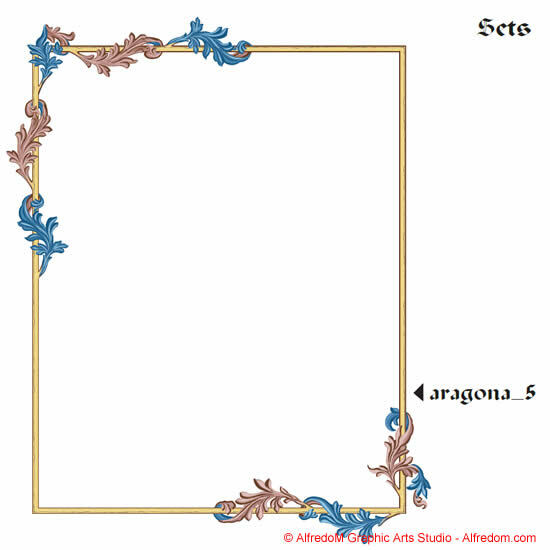 More hand drawn clipart wedding borders and capital letters are available in the Illuminated Manuscripts Vol. 3 and Illuminated Manuscripts Vol.4. 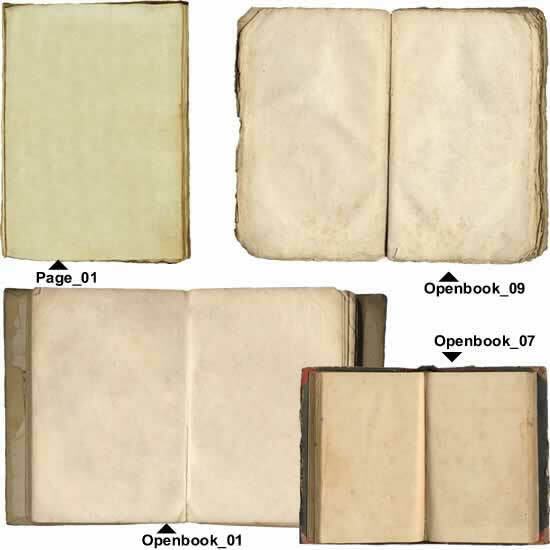 Blank background books pages and Parchment. 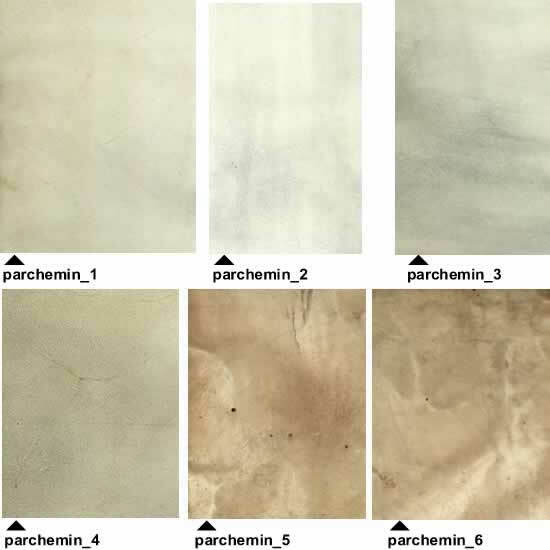 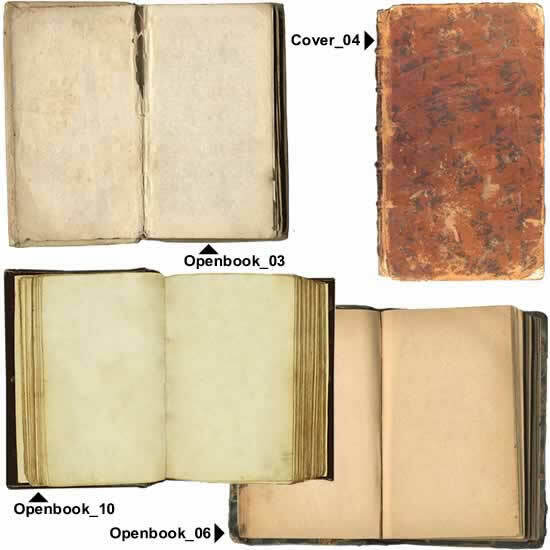 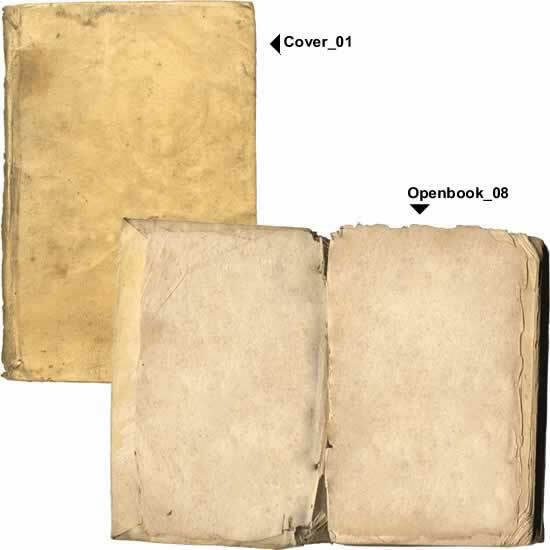 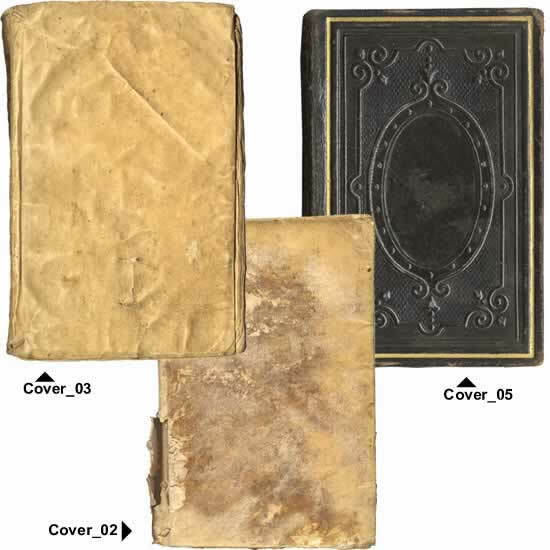 All collections and instant download include also the set of photographic reproductions of parchment and blank pages of antique books that can be used as backgrounds. 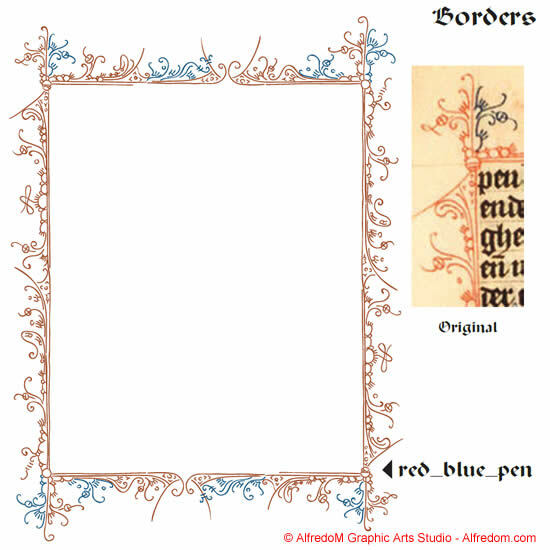 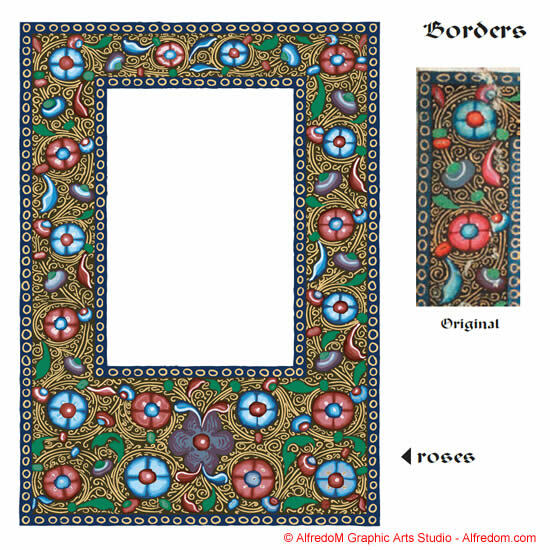 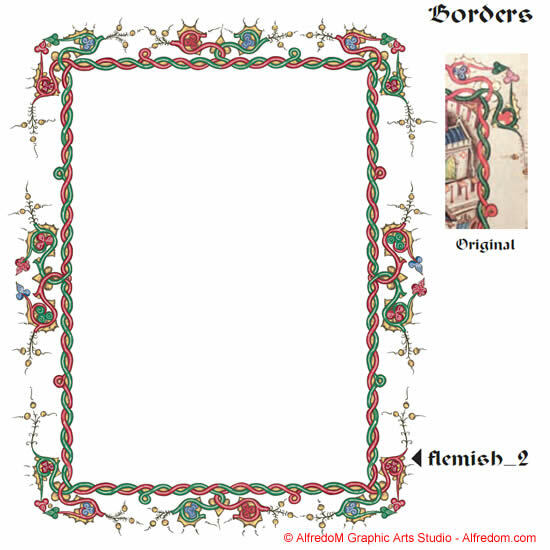 A large collection of Medieval, Renaissance y Gothic borders.